Once you have chosen Malaysia as your preferred investment hub, there are a few investment factors that you must consider. Setting a company in Malaysia as an outsider will require you to understand that shares will limit the company. Besides, you also need the services of a licensed company secretary to form a company in Malaysia as Sdn Bhd (Sendirian Berhad). You should note that all businesses and industries in Malaysia allow for a hundred percent ownership by foreigners. There are industries, known as specialized industries where you will be required to collaborate with a local. Depending on the prevailing economic scenario in Malaysia, the list of specialized industries may vary from time to time. For an investor looking to set up a Malaysia Sdn Bhd, you will find that there are investment categories to choose from, depending on your permit application. 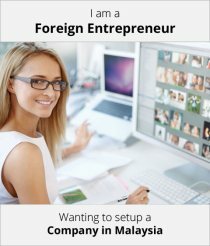 If looking to start a business that is a hundred percent foreign owned, you would need a minimum capital of RM500, 000 for consultancy and advisory businesses. For import, export, trading and restaurant businesses, investors need RM 1million or more. As a Malaysian foreign shareholder, you need to have a business concept that is unique, and which will benefit Malaysia’s economy. Partnerships require a minimum capital injection of RM 350, 000 and should have an authorization capital of RM 500, 000. Once incorporated, the Malaysian company will have a name that ends with Sdn Bhd and means that it is a limited company. Upon receiving the incorporation certificate, your business will be expected to provide its registration number in all its official communications, business cards as well as any documents that it sends out. More information on setting a Sdn Bhd company in Malaysia. It is normal for many investors to make inquiries on whether they can apply for an expatriate work permit right after they have received the Sdn Bhd papers. However, you should note that the Malaysia government encourages all investors to employ locals in their operations. Expatriate work permits approvals can be done for the shareholders as well as the directors as they will need to make sure that their investments in the country are protected. For new companies, they may not be immediately eligible as the business will still be new, has not conducted any transactions locally and therefore has not built a name for itself. Of importance to note is that approval is also determined by the industry you have invested in. Find a location to set up the business office or shop and make sure that the tenancy engagement document is stamped, and that they have an official telephone line already setup. 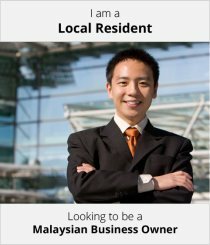 Submit an application for the local town council license for the business premises as well as a signboard. When this is done, the concerned authorities will come to your business premises to perform an inspection. For the above three stages, it takes between six and nine months to complete them all and is significantly dependent on the investors ability to pay attention to each step as a way of ascertaining that everything has been done as required. It is recommended that you do not rush to register your firm, without first confirming whether you are eligible for trade licenses, as well as the process involved in approving the visas. As a shareholder, you are not liable for debts incurred by the company beyond the subscribed amount of share capital, except in cases of malpractice or deceit in the part of the limited company. Company shares are easily transferable, either in part or. You do not need to dissolve the company in case one of the shareholders or directors passes away. There are no restrictions on capital that can be injected into the firm in the form of new shares issued to new investors. Should you need more information about form a company in Malaysia, contact our qualified and professional corporate specialists. We will assist you to incorporate your business in the shortest amount of time.